“51 ways”, “101 tips”, and even “1000 and 1 ideas” on how to Outsource your Life. It seems like there is a non-stop competition in blogosphere to come up with a bigger list. Of course VA companies promoting wonders of life outsourcing directly or through “independent” blogs add their list of ideas and justifications. No matter whether you agree with him or not you gotta give it to Timothy Ferriss, he’s a true trend-setter. 1. Website development. If website is primitive, it takes just knowledge of MS word and few clicks to create a website. If you have no clue how to do even that you should spend a few hours googling, otherwise you are leaving yourself wide open to fraud and over-billing. If the website is very simple yet above a one-pager you probably will spend more time explaining to VA what you want then creating it yourself using DreamWeaver or FrontPage, and if website is a bit higher in complexity you will be lucky to get your money and time worth by working with VA. Find professionals – there are plenty of them (see ideas on how to find one in Best Places to Find a Freelancer. A couple days ago on my way to NJ I bought an excellent book – The 4-Hour Work Week: Escape 9-5, Live Anywhere, and Join the New Rich (Library Edition) . 6 hour flight plus an hour of circling around NYC and a few more hours at corporate apartment were more than enough to digest this fairly small guide to a way of life distinctively different from mine and probably from the one most of people I know follow. Living life to its fullest without postponing it to some uncertain date that would likely never comes. The book was quite entertaining and even though chances are I will never live the lifestyle Timothy is promoting I found it exceptionally educational. Well, there are a few, if not a lot of hidden traps in the methodology Timothy proposes. I bet the rate of success in following Tim’s footprints is quite low. As a matter of fact if I cared I could write a set of rebuttal articles on many of T propositions ;) What’s good in doing something like that though? I love T’s passion and with the best to those who try, I am sure with number of his readers in millions he’ll make 1000s happy NRs (Nouveau Riche / New Rich). So, forget questionable suggestions and dubious propositions… There are plenty of great ideas in the book, most of them are time proven as they have been around for a very long time and even popularized by self-improvement industry giants such as Tony Robbins. One of the areas close in topic of this blog is about outsourcing – outsourcing your life. While outsourcing one’s life is a very generic topic I decided to cover several aspects of it as they apply well to people in my line of work. The idea is quite simple – using personal assistants to free up time for more meaningful activities. In particular virtual assistants (VAs). What you do with the time freed up by VA is 100% up to you, hopefully it more than pays for the money you pay to VA – either in hard cash or in quality of life. The task can be done remotely / doesn’t require physical presence. You can provide a definition of the tasks that doesn’t leave too much room for interpretation. It takes (substantially) longer to do it than explain how to do it. You can provide clear deliverable, timeframe and quality standards for the task execution. The task doesn’t require unique skills / abilities / background. I compiled a couple lists after reading few posts, blogs and article first one is about your professional life (see 25 Aspects of Professional Life to Outsource) and second about your personal life (10 Aspects of Personal Life to Outsource). 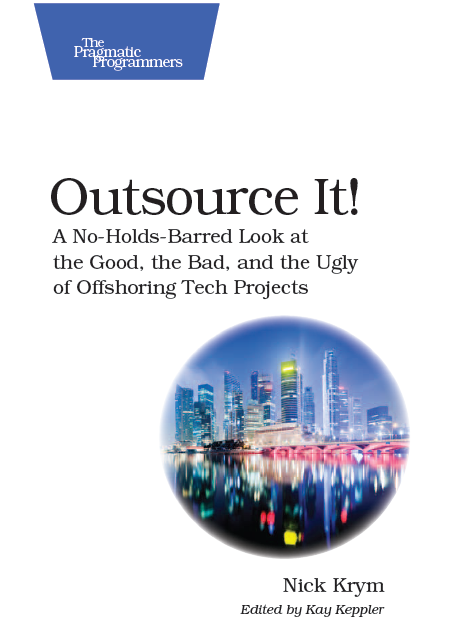 Also while reading posts / books and articles I came up with the list of tasks not to outsource despite the fact that those are highly recommended by other authors. The list is not complete. I will post it as soon as it’s ready. The list below covers a variety of personal tasks that could be reasonably easy outsourced to a Virtual Assistant. 1. Vacation Planning. Pick a destination and have VA to book your tickets, find hotel, arrange pick up / drop off, car, excursions, etc. VA can develop plan of your trip to excruciating level of details. 2. Event Planning – Evite.com is a great tool for event planning but adding a human touch can greatly improve the experience. Especially if you meeting with a large group of not very close friends. VA can cover multiple aspects of event – meal planning, finding a catering company, arranging entertainment, etc. VA can also support people coming to the event, e.g. finding great place to stay for your parents in law. 3. Online Shopping – With online shopping becoming mainstream of shopping adding a VA can save you tons of time and surprisingly a lot of money. Whether you shopping for skis, used car or groceries price research alone will pay for all your VA costs. 4. Contractor research, selection and managing – whether it’s a plumber, wedding band, landscaper VA can assist you with finding one, negotiating terms, setting appointments and following up with providers. 5. Preventive maintenance of your assets. Do you remember that garage doors need to be greased twice a year? VA can create and maintain maintenance plan for all your assets and make sure that you do not forget that oil change for your car, schedule appointment and follow up if necessary. 6. Health and Fitness – Let VA being your “loving Jewish mother” in every good aspect of it (and there are plenty of those). Diet planning, schedule your annual checkup, finding you a chiropractor or personal trainer, and reminding to wear your sweater. 7. Personal Social Networking – many aspects of our personal social lives can benefit from VA involvement. Never forget to send flowers to your grandmother, stay in touch with your friends, and even remember about your friend’s son graduation party. 8. You love life :) – Let VA help you with maintaining your online profile(s), respond to those interested, set up date, buy gifts, etc. You might become a Virtual Casanova in no time! 9. Bill management – VA can audit your bills and pay them exactly on time, save time and late fees. 10. Cost management. While working with your bills VA can take it further and undertake cost management finding savings for you in multiple aspects of your spending. For example they can do analysis of your cell phone bill and find a better plan. The list below covers a variety of tasks that could be reasonably easy outsourced to a Virtual Assistant. 1. Industry / Market / Vendor / Product Research. Even though you can ask your VA to check library you are better off keeping the research to Web though. Research could be of a broad nature, for example top 5 firewall vendors, or very focused such as Nick Krym cell phone number. 2. Subject Matter Briefs – If you’ve ever been scheduled for a meeting on a topic about which you know very little, a virtual assistant can be a great help. Have them find or write a short, five-page summary of the topic, major concerns and implications for you, and recent news. 3. Calendar Management – setting appointments, making calls, rescheduling meetings, reminders, etc. 4. Contact management – cleaning up your outlook contact database, verifying / finding facts, addresses, emails, etc. 5. Email Management – email removing unnecessary (spam, useless elements of chain email, etc. ), sorting, categorizing, follow up, response on your behalf, etc. – possibilities and time savings here are pretty amazing.